Welcome to Impact Test Equipment - manufacturers and suppliers of civil engineering materials testing equipment and instrumentation. From sampling equipment to microprocessor controlled testing systems for use on site or in the laboratory. Use the Search facilities and product categories to view information such as technical specifications, applicable standards, multiple images and operation manuals for our products. select products and add them to a Quote Cart. When your list is complete, view the cart and make any amendments or quantity changes. Submit your product list to the Impact sales team and they will aim to respond with a full quotation within 2 working days. Our sieves are manufactured to the highest standards, with seamless frames to ensure a precise fit and superior quality. All sieves are supplied with certificates of conformity, or with UKAS calibration if required. Our new site is now live. 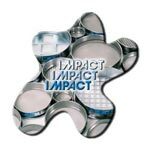 Click here to visit our new Test Sets site www.impact-testsets.co.uk and browse through our Test Sets to International Standards.